“Uniformly, in ill patients, increasing the alkaline buffer of the tissues makes patients feel better. As mentioned above, this is particularly true in chemically sensitive patients, and can actually be a “cure” in the sense that we are increasing the body’s ability to react in a healthy way to noxious stimuli. If I use the intravenous sodium bicarbonate in such patients, it is usually given twice a week for a period of 4-5 weeks. Sodium bicarbonate is a very effective way of directly improving celllular health by making the tissue more alkaline,” concludes Dr. Eric Chan. Sodium bicarbonate possesses the property of absorbing heavy metals, dioxins and furans. Comparison of cancer tissue with healthy tissue from the same person shows that the cancer tissue has a much higher concentration of toxic chemicals, pesticides, etc. When the body is bicarbonate sufficient it is more capable of resisting the toxicity of chemical insults. 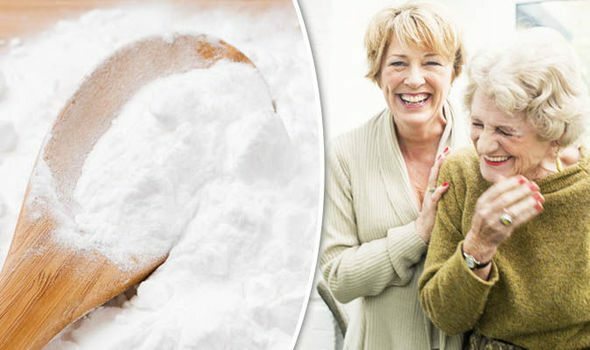 Over acidity, which is highly common today, is a dangerous condition that contributes to a host of serious health conditions, yet doctors refuse to test pH levels (much better and less expensive to do at home) and resist prescribing sodium bicarbonate, which is simple baking soda, to address this common condition. An acidic internal environment is the perfect place for disease to thrive and that includes cancer. Normal pH environments resists disease and cancer formation. 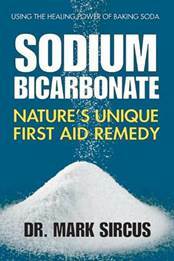 Sodium bicarbonate is the time-honored method to ‘speed up’ the return of the body’s bicarbonate levels to normal. Sodium bicarbonate is a strong medicinal, one of the strongest; it will drive pH levels up quickly, as well as oxygen, throughout most of the tissues, and that is why it is so effective. Acidosis is extremely common in our society mostly due to the American diet and lifestyle. Although eggs, dairy and meats, are acidic, the main problem is with processed foods. These include white flour, sugar, coffee and soda, which create an acidic environment. Breathing too fast also causes acidity as does pharmaceutical drugs, artificial sweeteners, radiation exposure (medical tests) and exposure to all the chemicals and pesticides and even the polluted air we breathe and water we drink. When we become acidic, the body steals minerals such as sodium, potassium, magnesium and calcium from the bones and organs to neutralize the acid. This puts stress on the body and, unfortunately, can go unnoticed for many years especially because doctors prescribe further acid forming drugs to cover up the symptoms of acidity. When our pH becomes acidic, we commonly face fatigue, infections, obesity, depression, dry skin, ulcers, diabetes, immune deficiency, hormone issues, premature aging, weak bones, yeast, slow digestion, bladder conditions, kidney problems, cardiovascular damage and joint pain all due to lactic acid buildup. British scientists at the Royal London Hospital shows that sodium bicarbonate can dramatically slow the progress of chronic kidney disease. Sodium bicarbonate is the best, quickest and safest way of assisting your body in balancing pH levels, thereby extending life by reducing the formation of serious diseases. It is also one of the best medicines (foods) for treating cancer. A number of studies have shown that the extracellular pH in cancers is typically lower than that in normal tissue and that an acidic pH promotes invasive tumor growth in primary and metastatic cancers. The external pH of solid tumors is acidic as a consequence of increased metabolism of glucose and poor perfusion. Acid pH has been shown to stimulate tumor cell invasion and metastasis in vitro and in cells before tail vein injection in vivo. “Monitoring of blood-sugar levels, insulin production, acid-base balance, and pancreatic bicarbonate and enzyme production before and after test exposures to potentially allergic substances reveals that the pancreas is the first organ to develop inhibited function from varied stresses,” writes Dr. William Philpott and Dr. Dwight K. Kalita in their book Brain Allergies. Baking Soda is 100 percent sodium bicarbonate. When mixed with an acid, baking soda reacts, making bubbles and giving off carbon dioxide gas. It does this when it hits stomach acid, it does it when you squeeze a lemon into it when still in the glass, and it does this when you use Bath bombs in the bathtub when you mix bicarbonate with citric acid. Bicarbonate works so well as a medicine exactly because it turns into carbon dioxide. It has always been my contention that combining oral with transdermal treatments is better that intravenous method of administration unless it is an emergency. The Journal of Nutrition conducted a study of sparkling and still mineral water. The study participants were asked to drink 1 liter of either the sparkling or still each day for two months, followed by two months on the other water. It was found that drinking sparkling water brought about significant reductions in the level of low density lipoprotein (LDL) cholesterol (generally regarded as a risk factor for heart disease), as well as a significant increase in levels of high density lipoprotein (HDL) cholesterol (generally taken to reduce heart disease risk). These and other biochemical changes induced by drinking sparkling water were estimated to reduce the women’s risk of developing heart disease over the next decade by about a third. You can purchase a box of baking soda for under $1, making it the least expensive home remedy and one that is used extensively in intensive care wards and emergency rooms when the blood pH gets out of hand. Sparkling water (full of bicarbonates/CO2) easily replaces all the statin drugs and many other pharmaceuticals but your doctor does not want you to know this. Gas bubbles in carbonated water are created by adding carbon dioxide to plain water. Carbonated water does not contain phosphoric acid, which strips bones of calcium and causes blood acidity. Carbonated water has one ingredient that soft drinks lack: bicarbonate. 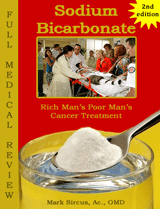 Bicarbonate minimizes calcium loss from the bones. Since blood acidity is not excessive when consuming carbonated water due to bicarbonate, more calcium stays in the bones. This is my bestselling book on Sodium Bicarbonate and is an important read for all doctors and people interested in maintaining their health and youth. The book is also available in EBook form. Oncologists are fools when they make fun of bicarbonate (CO2) because first they do not know the medical science, the importance of this healthy and necessary gas, do not know that in the blood bicarbonate and CO2 interchange, practically at the speed of light thanks to an enzyme Carbonic anhydrases in side of us. This allows the rapid interconversion of carbon dioxide and water to bicarbonate and protons or vice versa. Oncologists do not know how this all relates to healthy cell environments because more oxygen gets to the cells when there is plenty of CO2 (bicarbonate) in the blood. They haven’t a clue as to why this is important in cancer prevention, cancer treatment, and cancer cure. Carbon dioxide (bicarbonate) is a nutrient as well as a product of respiration and energy production in the cells and its lack or deficiency is of itself a starting point for disturbances in the body. Learn how to treat yourself and your loved ones safely at home with our best-seller bundle! Learn Dr Sircus protocol including dosages, methods, side effects and contra-indications. 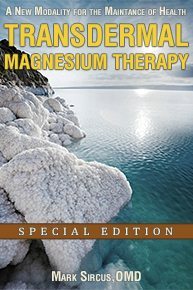 This bundle includes the special edition of Transdermal Magnesium Therapy, Treatment Essentials and Sodium Bicarbonate and eBooks. This book will guide you through Dr Sircus protocol and the medicinals that compose it. This is the first step to teach you to take care of your own health. Get it for free by subscribing to my newsletter. If you need to improve one’s health or recover from a serious disorder learn how to treat yourself and your loved ones safely at home. 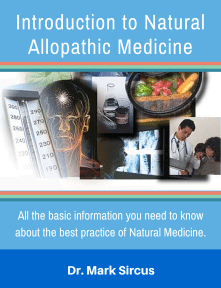 We offer a FREE introductory guide to Natural Allopathic Basics which outlines a simple to follow protocol that you can use inexpensively and safely at home. 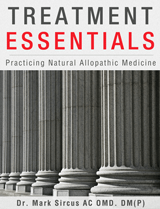 For more advanced and detailed presentation we offer Treatment Essentials, which has all the information for you to practice Natural Allopathic Medicine, including the important chapter on dosages. For questions pertaining to your own personal health issues or for specific dosing of Dr. Sircus’s protocol items please seek a consultation. Please visit our knowledge base to see if your question may have been answered previously. 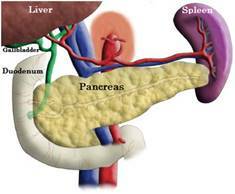 Tagged acidity, baking soda, cancer cures, pancrease, sodium bicarbonate. Bookmark the permalink.